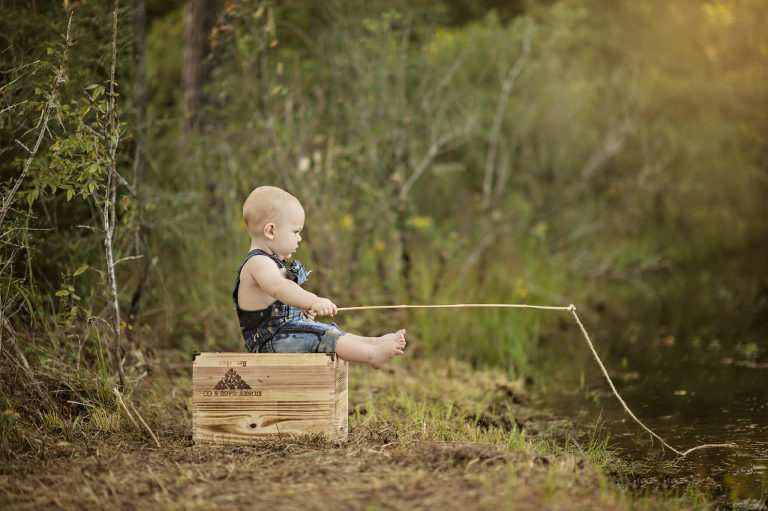 First Birthday Session – Lets Go Fishing! 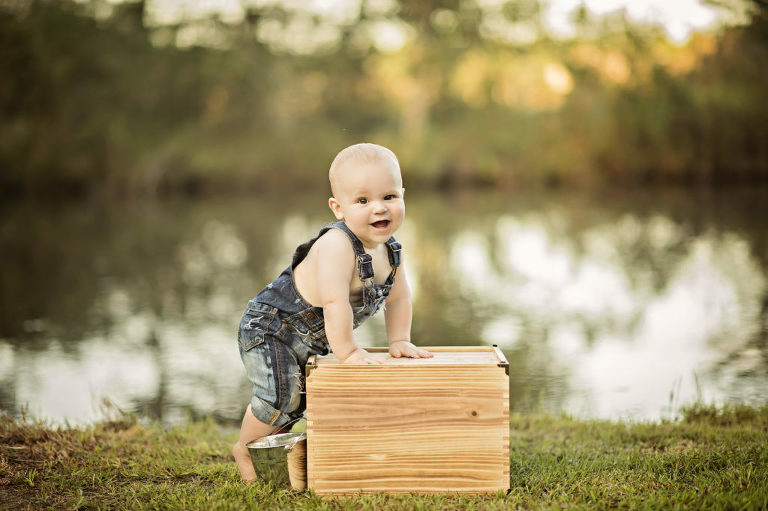 How do you get a one-year-old boy to have fun at a photoshoot? Just take him fishing! 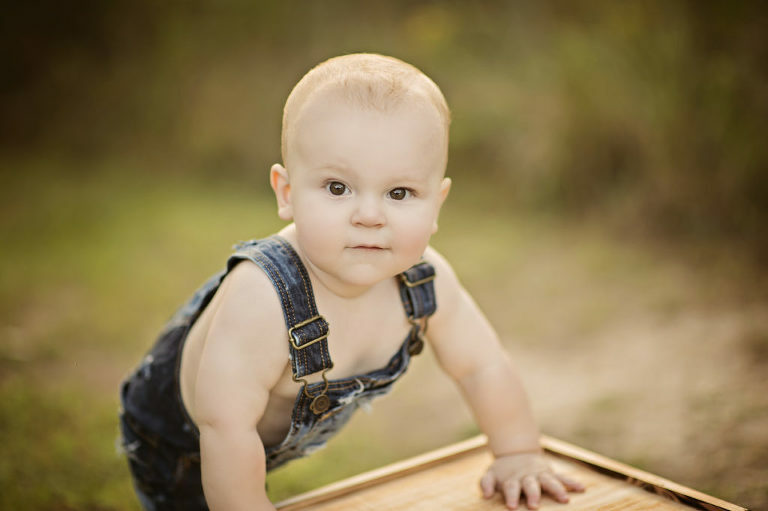 Kaleigh (mom) found me through a mutual friend and contacted me to book her son’s first birthday session. When she told me that she was hoping to do a fishing theme, I couldn’t wait to get started putting the look together. It sounded to me like a shoot in a pretty park with a little pond would be a perfect location to capture this little explorer…and I think I was right. 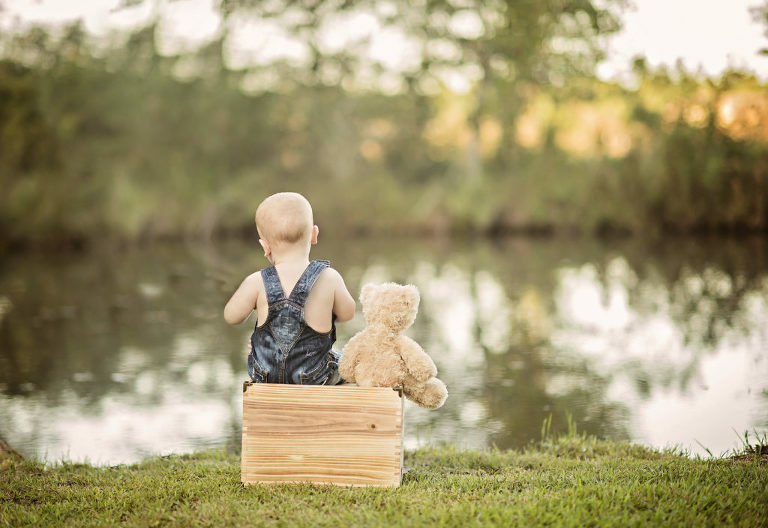 He looked right at home sitting on a wooden box with a handmade fishing pole in tow. I loved the overalls Kaleigh put him in with his wiggly toes poking out. So cute!! And his big brown eyes were just mesmerizing. I loved photographing this smiley guy. If you’re worried about the baby and water combo, not to worry. I always keep safety first, and Mom was right next to him the entire time (thanks photoshop!). Plus, the water was actually only ankle deep. After nothing but a few nibbles from the fish, it was time for Brooks to take a break with a few bites of his smash cake. 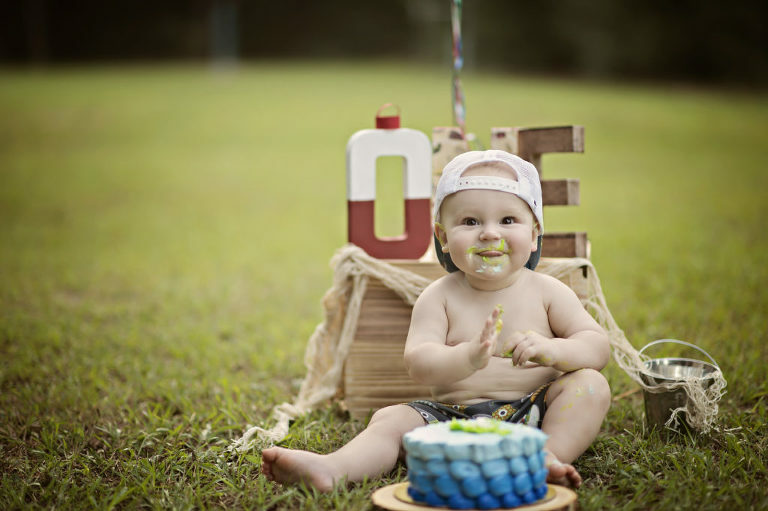 He was a little hungrier than the fish and LOVED smashing his adorably decorated cake. It was so great meeting Kaleigh and sweet Brooks, and I wish him the happiest birthday!